The defending champion Boston Red Sox are favored to repeat this year though are expected to get a tough challenge from the New York Yankees and Houston Astros. All three teams are priced at +600. The futures market to win the National League and American League championship has also been posted and while many of the same names are at the top of these betting boards there is much more competitive field. In the National League, the defending league champion Los Angeles Dodgers are the sole favorite at +350. 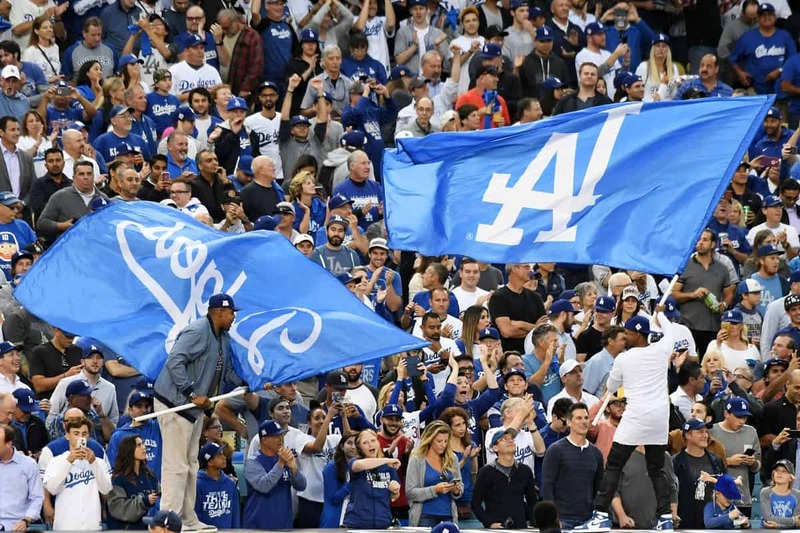 The Dodgers represented the league in the 2018 World Series though were soundly drubbed by the Boston Red Sox en route to a 4-1 defeat. Also priced at single digit odds are the Chicago Cubs (+500), Philadelphia Phillies (+600), Milwaukee Brewers (+650), Atlanta Braves (+700), St. Louis Cardinals (+800), Washington Nationals (+900) and Colorado Rockies (+1000). At the bottom of the barrel the Miami Marlins are the longshots to win the National League title by a wide margin—they’re +10000. There’s a good deal of separation between the hapless Marlins and the next three bottom feeders which are the San Diego Padres (+6600), the San Francisco Giants (+5000) and Cincinnati Reds (+5000). The Pittsburgh Pirates (+2800) and Arizona Diamondbacks (+2500) round out the bottom five in the National League. The three co-favorites to win the World Series are also co-favorites to win the American League pennant. The Boston Red Sox, Houston Astros and New York Yankees are all priced at +275. The only other team at single digit odds to win the AL title is the Cleveland Indians at +700. These four teams are followed by the Oakland Athletics (+1200), Tampa Bay Rays (+1800), Los Angeles Angels of Anaheim (+2000) and Chicago White Sox (+2500). There’s clearly a wider disparity between the ‘haves’ and ‘have nots’ in the American League as demonstrated by the fact that they’ve got three teams priced at 100 to 1 or higher. The Baltimore Orioles are the biggest longshots (+15000) followed by the Kansas City Royals (+12500) and the Detroit Tigers (+10000). Rounding out the bottom five in the ‘Junior Circuit’ are the Toronto Blue Jays (+4000) and Minnesota Twins (+3300). Exceptionally weak demand for high profile free agents has made setting futures odds for baseball extremely difficult. A number of the biggest stars in the sport remain unsigned including Bryce Harper, Manny Machado, Craig Kimbrel and Dallas Keuchel. For now, they’re standing firm saying they won’t play for what they think they’re worth but more than likely they’ll rethink this stance as the season draws closer. A superstar player would ultimately prefer to sign a one year contract for less than what he thinks he’s worth than go a full year without getting a paycheck.